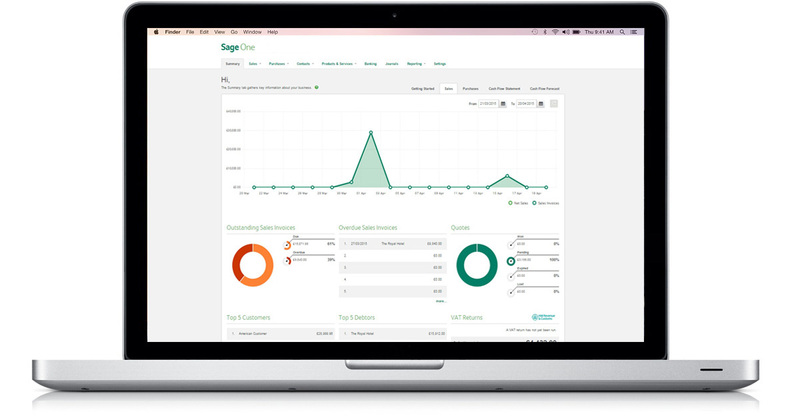 Sage One is online accounting and payroll software for entrepreneurs and small business owners in Ireland. As Sage One is cloud based, there is no install required so it’s the perfect accounting software for Mac users. You’ll even be able to access your accounts and payroll at any time, even on your iPad or iPhone, as long as you have an internet connection. Many of the traditional accounting and payroll software programs were designed solely for a Windows environment. Users were either restricted to Windows PCs or had to install Parallels on their Mac. This ultimately meant less choice. Sage One gives you the flexibility to work from any device with an internet connection so you can have the opportunity to make that switch to Mac you were unable to do before. As you will be managing your payroll and accounting online, Sage One is compatible with all supported Mac OSX operating systems including Lion, Mountain Lion, Mavericks and Yosemite. The most important requirement is to ensure that your browser is the latest version for the best performance, stability and security. Sage One is designed for use on any desktop, laptop or tablet devices using Apple Safari, Mozilla Firefox and Google Chrome. As long as you use a recommended browser, you’ll be able to run Sage One on a MacBook, iMac, Mac Mini or Mac Pro. Dan Williams, Tailor & Baker. Gareth Byrne is a Dublin based freelance photographer. His work varies as he travels across the UK and Ireland photographing different types of commercial property and construction projects. Gareth has always successfully managed his own bookkeeping but when his accounting needs changed, he found it difficult to find the right business accounting software for Mac users. Gareth also needed flexible software that he could access from the road, as he is often on location and doesn’t have access to his desktop. Sage One is the perfect accounting software for photographers, like Gareth. Since subscribing to Sage One over a year ago, Gareth has found the software easy to use and great for collaborating with his accountant. As he can invoice customers while on the go, he stays on top of his accounts and invoicing so his customers can pay him faster. Gareth recommends Sage One to anyone starting out in business. Gareth’s top tip for bookkeeping for photographers is “Don’t let paperwork build up! If a bill arrives, enter it as an expense as you go along. If you complete a job do the same, this way you never have a long list of things to do each month end.” To manage this in Sage One, Gareth uses the recurring expenses feature to automatically record his monthly direct debits and to reduce the time he spends on his bookkeeping. To learn more about Gareth’s business and how he uses Sage One, watch our video. 1. Can I use Sage One on Mac? Yes, as long as your Apple Mac has the latest version of a recommended web browser (Apple Safari, Google Chrome or Mozilla Firefox) and an internet connection you can use any Sage One product. 2. What is best for using Sage One – Mac or PC? 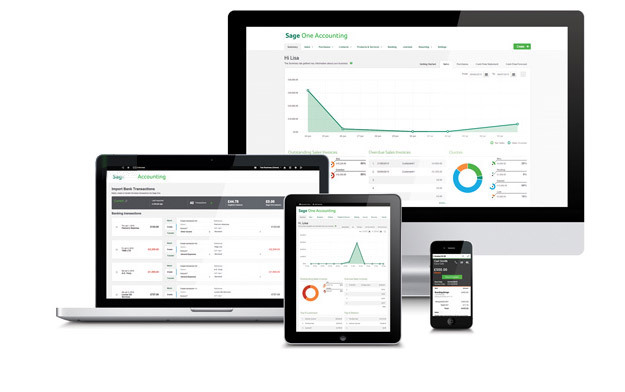 Sage One is browser based which means it’s the perfect cloud accounting software for Mac, PC or tablet users. By using the most up to date version of your browser (either Apple Safari, Google Chrome or Mozilla Firefox) you can ensure that you will have the same experience regardless of the device. 3. Can Sage One Cashbook be used on Mac? Yes, Sage One Cashbook is perfect for the Mac. Find out more about how Sage One Cashbook can help you record your income and expenses to better manage your cash flow by clicking here. 4. Is there an iOS version of Sage One for the iPad and iPhone? Yes, you can find Sage One for iOS on the App store here. The Sage One mobile app is perfect for invoicing customers, recording expenses and managing contacts on the go, straight from your iPhone. It will then sync your data with your online accounts so you always have access to the latest information at your fingertips. 5. Can you use Sage Accounting on Macbook? Yes, if the MacBook, MacBook Pro or MacBook Air has access to the internet then all Sage One products and features will work. To learn more about how Sage One Accounting can help you manage your finances, create quotes and invoices and prepare VAT returns, visit our page. 6. Can you use Sage One Payroll for Mac? Sage One Payroll is Irish payroll software for Mac, PC or any tablet device with an internet device using a recommended browser (either Apple Safari, Google Chrome or Mozilla Firefox). To learn more about Sage One Payroll, visit our page.